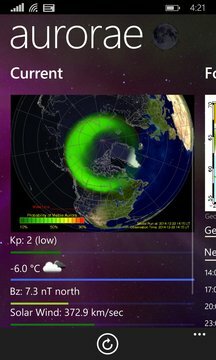 Aurorae is simple tool for aurora hunters. 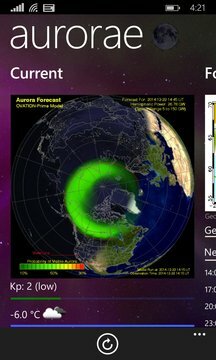 - Today's Space Weather Prediction Center alerts and warnings. Aurorae uses geoposition for getting correct images to the user interface. It also updates the space weather to the Live Tile.